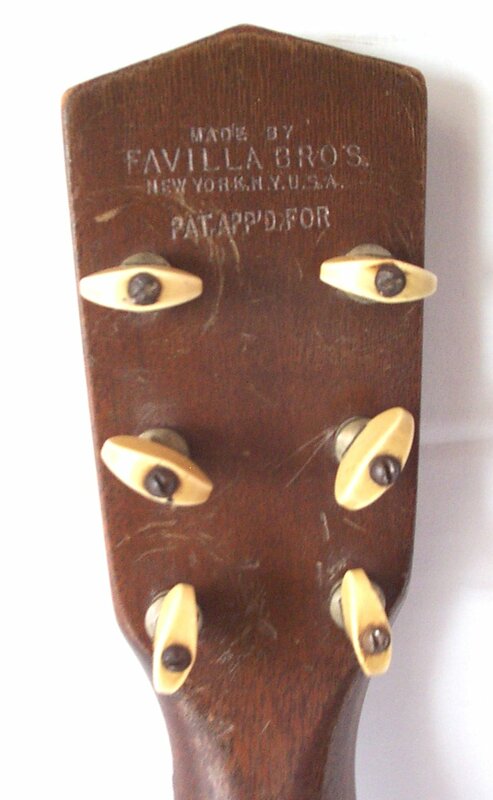 Flea Market Music offers an on-line community for ukulele players to ask questions to Chuck Fayne regarding ukulele valuations, ukulele history, ukulele tuning and many other ukulele questions. Chuck "Frets" Fayne has been the resident expert for "Uke Yak" since 1998. Since that time he has answered almost 6,000 questions related to vintage ukuleles. Over many years, Chuck assembled his own world-class collection of vintage Hawaiian and Mainland ukes, including some amazing one-of-a-kind pieces. 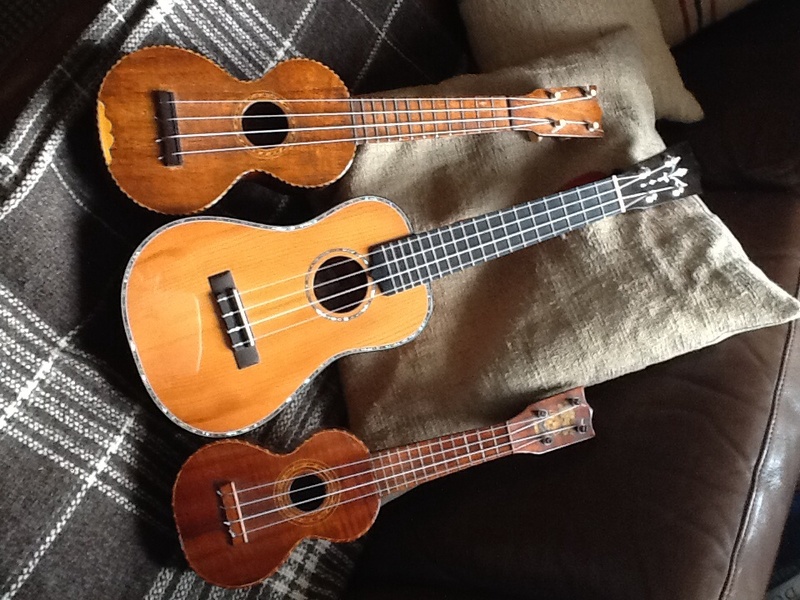 It was Chuck�s collection that made up the majority of the ukes in my book, "The Ukulele-A Visual History." Although Chuck has retired from the Uke Yak, his extensive knowledge and unique sense of humor live on in this searchable archive. Enjoy! Search the Uke Yak. Question: Chuck, I got the Kamaka concert (2004) you suggested 10 years ago and much later a Martin. Do you think it would be a good idea to change out the friction tuners on the Kamaka for a set of new 4 to 1 Gotoh tuners available from Kamaka for $90 plus shipping. It would require drilling a larger hole. Would it affect the value. Thanks. Question: So thrilled you're back Chuck, I've sorely missed your musings. They keep me amused during the dullness of the working day. And I just keep learning. Here are three of my babies. Manuel Nunes soprano, Pete Howlett concert and a Kumalae sopranino. Keep writing.... Mark. Question: Peter Lieberman has been building ukuleles as well as guitars in Maui for decades. After a fire destroyed his shop in 1998, he resumed building as a one-man operation. 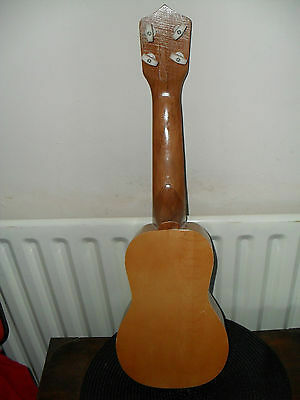 His post-fire ukuleles are unique (unusual) designs often with an oval sound hole, whereas those made before the fire are more traditional and characterized by a wave-shaped head stock. 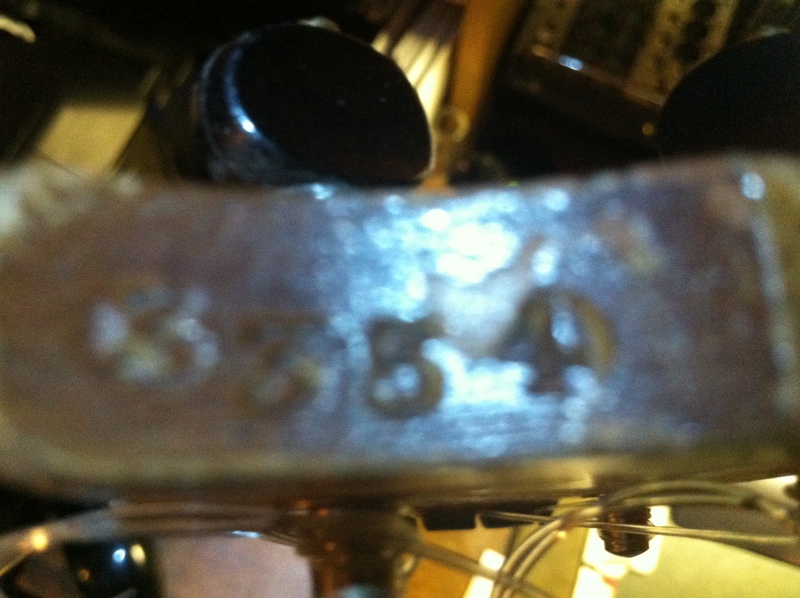 The serial number on my concert begins with "5" and was produced in 1995. 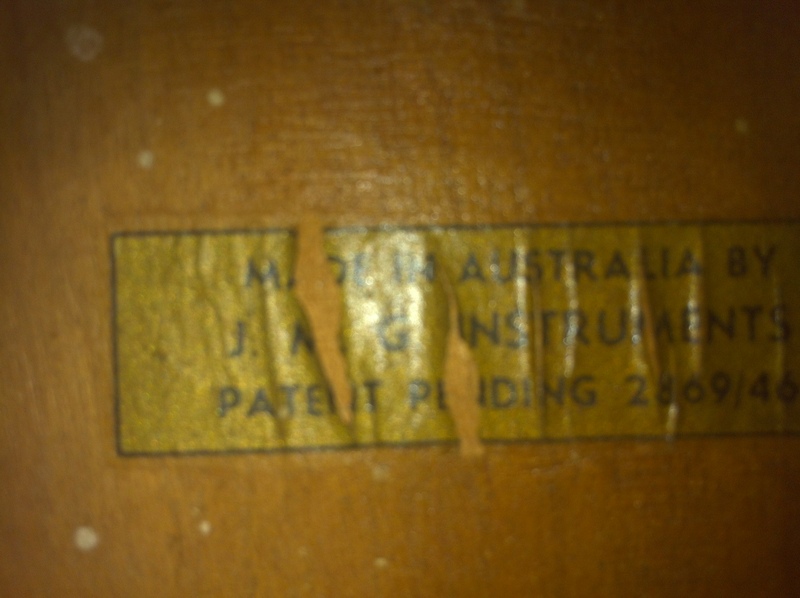 I would think the soprano ukulele in question was issued in December of 1998, however, given that 1998 was the year of the fire, it may have been made in 2008. I don't know how Peter distinguished between the decades in terms of the serial numbers. 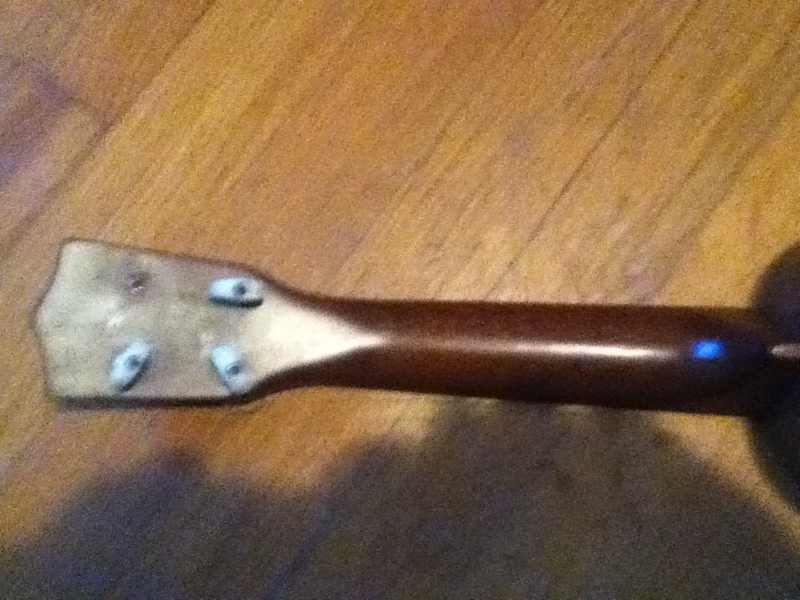 But, if it has the wave headstock, my guess would be 1998. 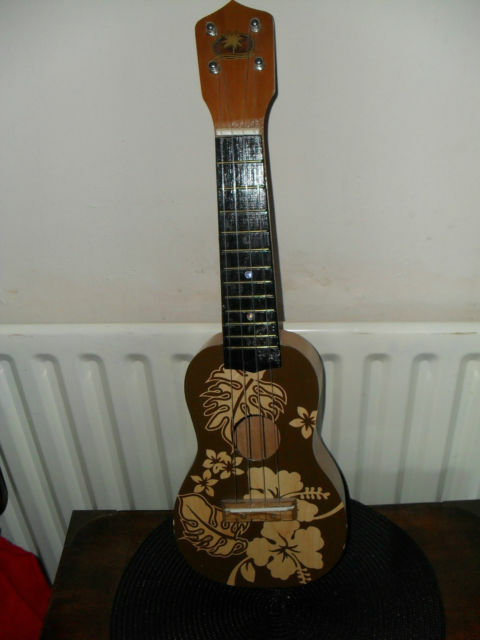 More recently, Peter has made some ukuleles using the older design and refers to them as "retro" models. Maui Music ukuleles are very well made and have a quintessentially Hawaiian sound. My concert is fantastic in every way and I certainly do appreciate the fret board radius. While I have heard that some prefer those made before the fire to the later ones, the new ones I played while visiting Hawaii were very impressive. 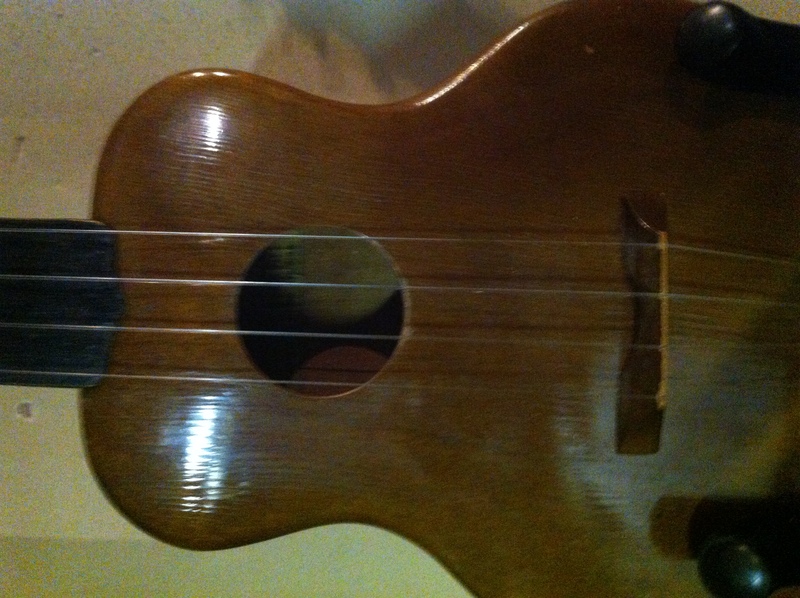 Hint: I'd buy any Maui Music ukulele in good shape for $400.00. 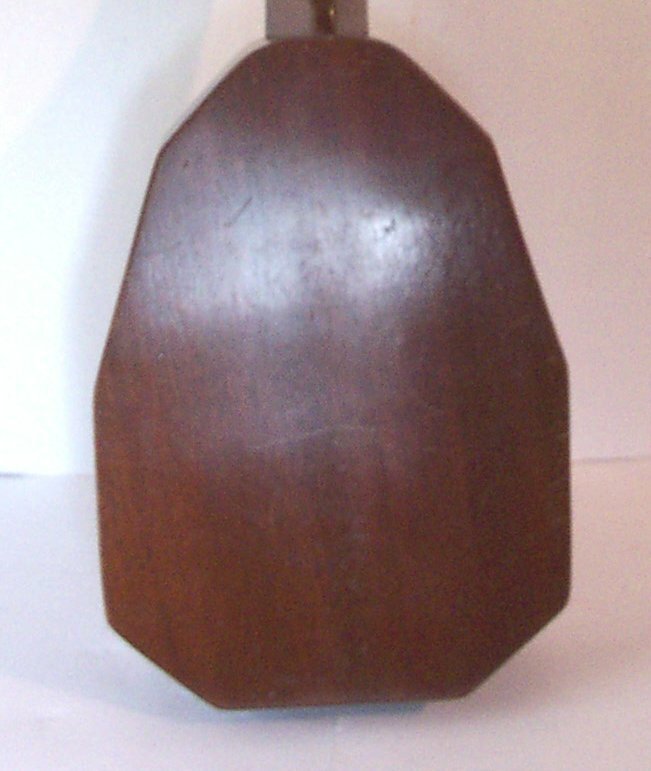 Question: My mother gave me a Kamaka Uke for high school graduation, stamped inside with Feb 3 1971. It has two stacked "K" decals. I have not downloaded a picture of it yet. Can you provide me with some background, value etc.? My mother has passed away and I never asked her about it. 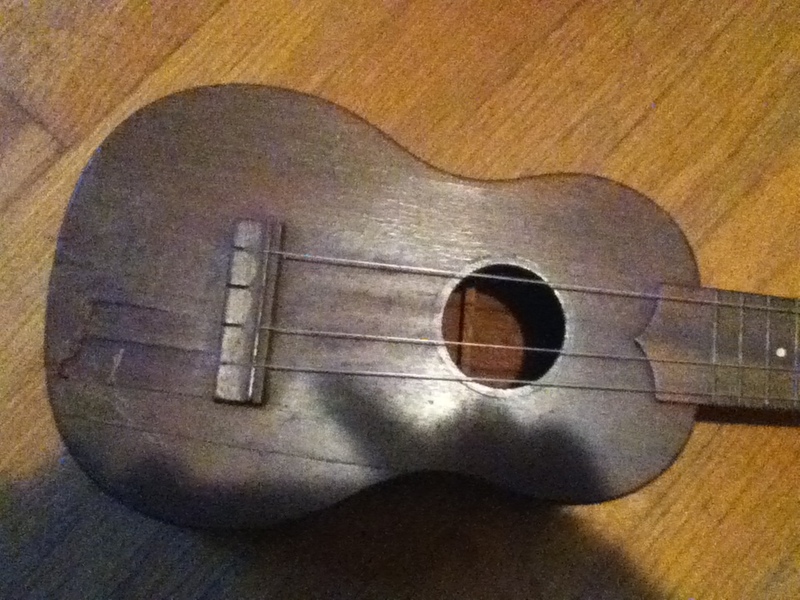 Question: While going through my storage I found my ukulele given to me by my grand father I have not been able to find any information about this item anywhere on the internet nor has anyone been able to tell me about it. It is need of some work, has all original parts, the pineapple paint is chipped and coming off, the label is in perfect shape. It has come apart at the base and neck and obviously needs work. Is this a rare item? should I seek an expert to repair/restore? Can you give me a range of values for a restored one of this model? thank you for your time and assistance! Subject: The Hui Nalu. A little ukulele/surfing bit of history. 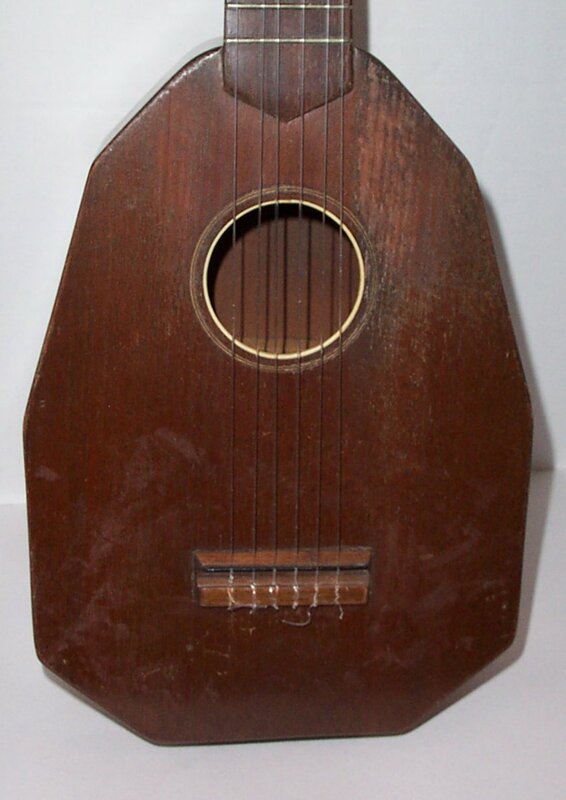 Question: Hello again Chuck...here's a curious case rather than a ukulele. 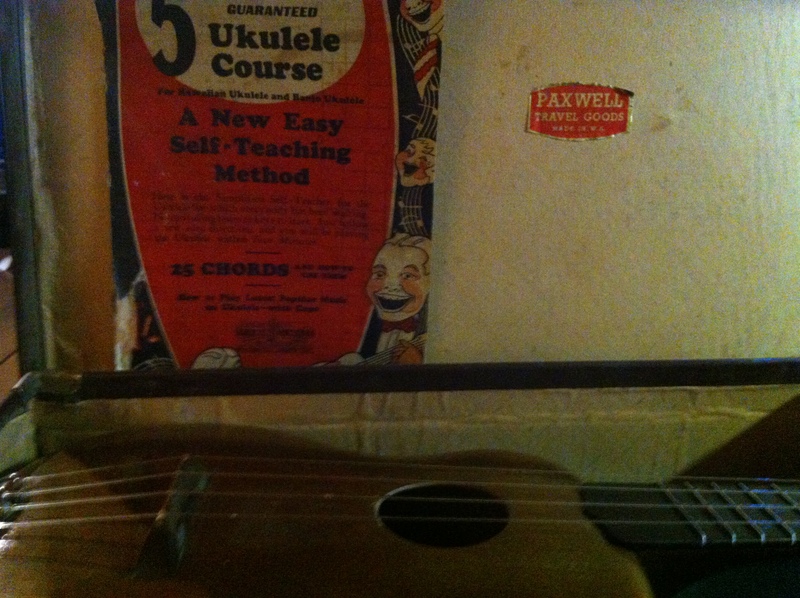 I thought folk my be interested in this little bit of ukulele history. It has 10 signatures on it- Hiram Anahu, 'Tough' Bill Keaweamahi, Chuck Daniels,Bill Kahanamoku, Sgt Kahanamoku, Louis Kahanamoku,,John Kauha, Peter Mahia,Geo. Harris and what looks like John De Jr. Some of these names I know...members of the Hui Nalu Gang who surfed and played the ukulele on the beach in front of the Moana Hotel in the early 1900s. Does anyone out there have more knowledge of these names? 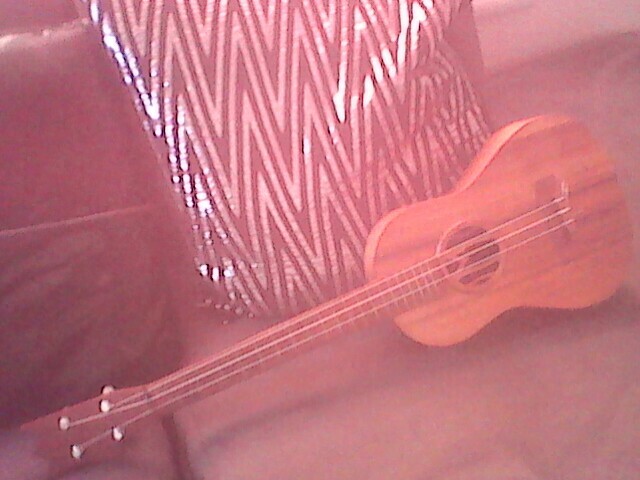 The uke by the way is lovely,if a little battered. 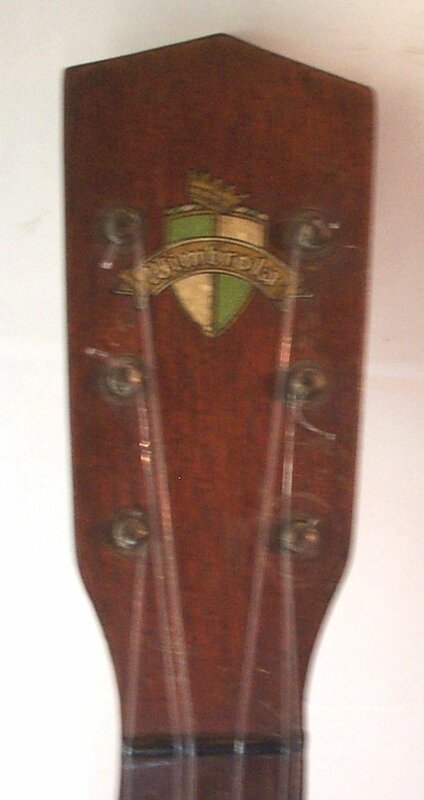 It has "Moana" on the headstock, a Tabu stamp and a Nunes moustache on the lower bout. I will send you an image of it when it returns from a little , gentle restoration. Regards Mark. 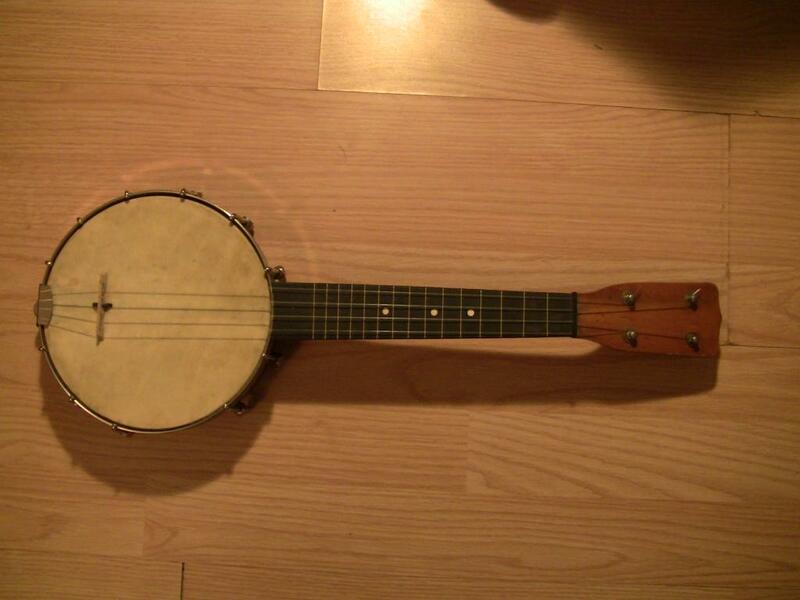 Question: Hello, I was just wondering if you could shed any light on this little banjolele? 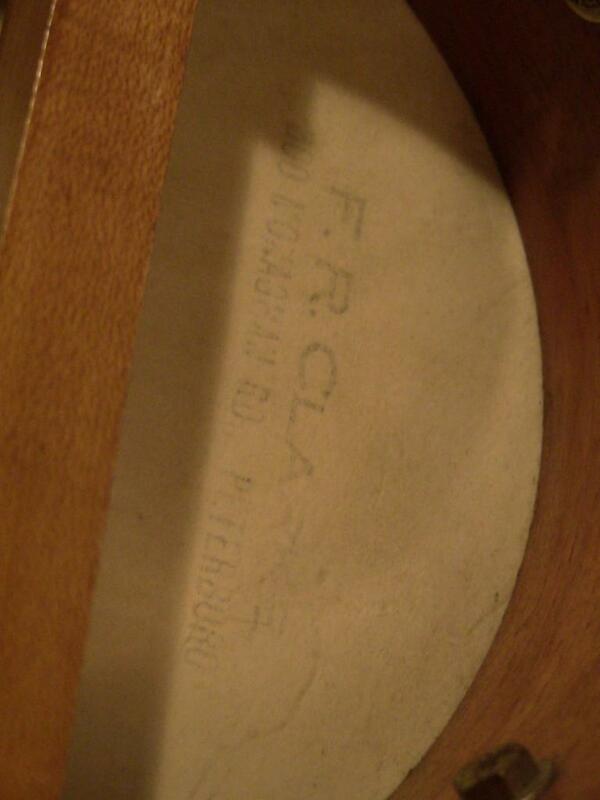 It has a faint marking on the skin as pictured but i am guessing it is just a past owners address. No other identifying marks that i can see. Any guesses? Thanks! Answer: Lester, ...Thanks for the kind words. Keep lookin, I will answer some of the questions. Want a job? 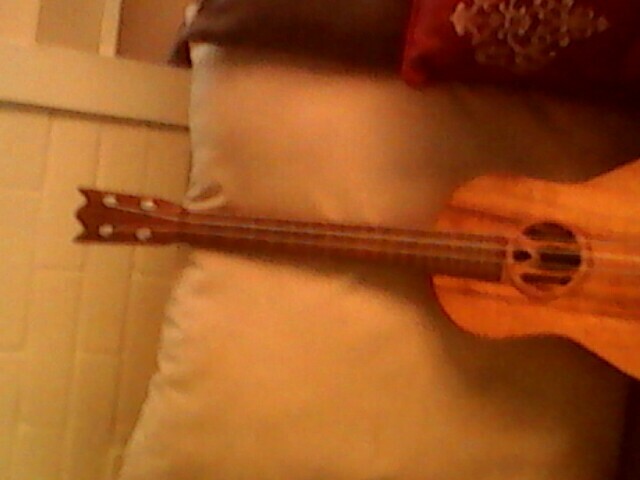 Question: hi chuck,i have a jmg uke australian made , its a gem , great sound , well made ! and just wondering what the stamp number3354 on head mean! thanks chuck ! 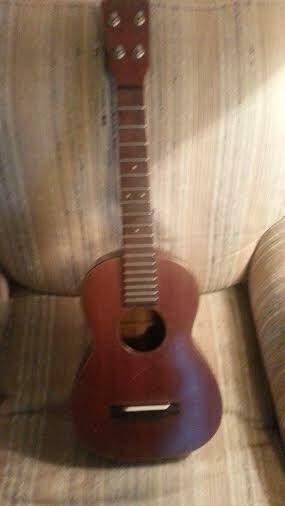 Question: I picked up this Kaholas uke a few weeks back on ebay. 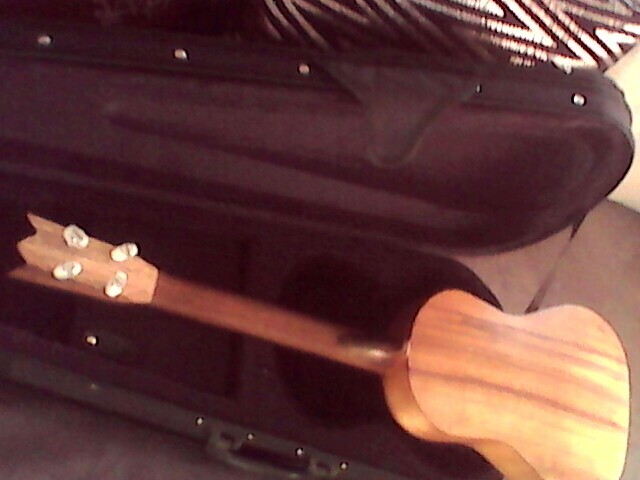 I thought it would be an interesting uke to own and despite the general opinion that Kaholas ukes were made by Gretsch, I feel that this one may actually be of Hawaiian construction. 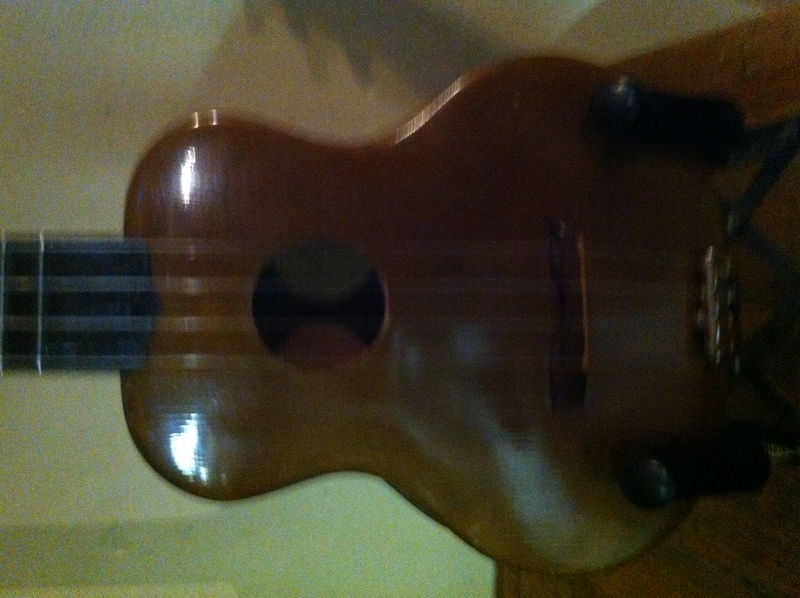 I'd like to find out exactly who made this uke and when, if possible. 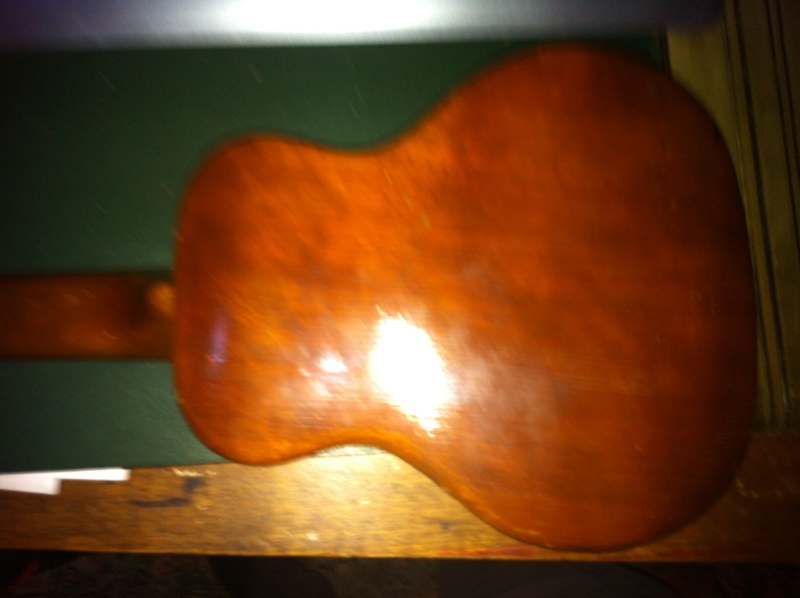 Question: Can you please tell me about this ukulele, including what type it is and what it is worth? The inside reads "C.F. Martin & Co., Nazareth, PA. Thanks! 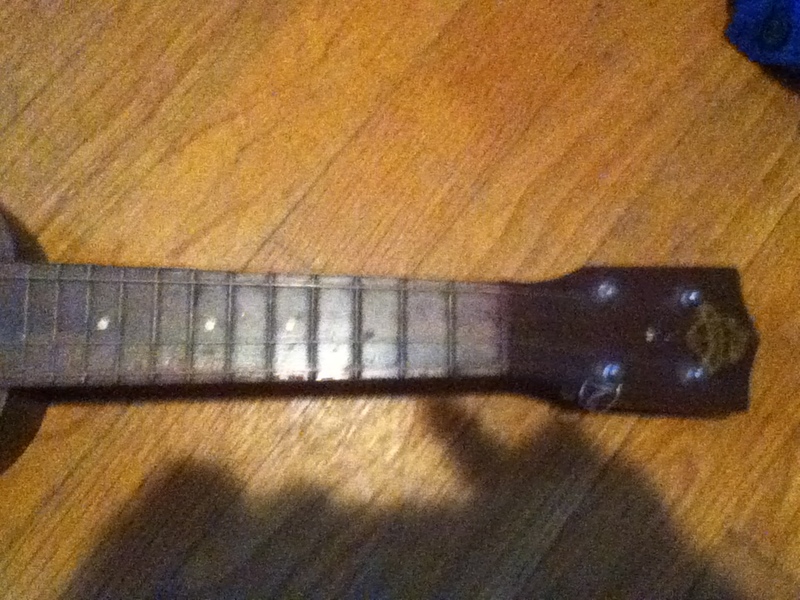 Answer: Evelyn..It is a Martin soprano Style 1 ukulele, and the first incarnation. 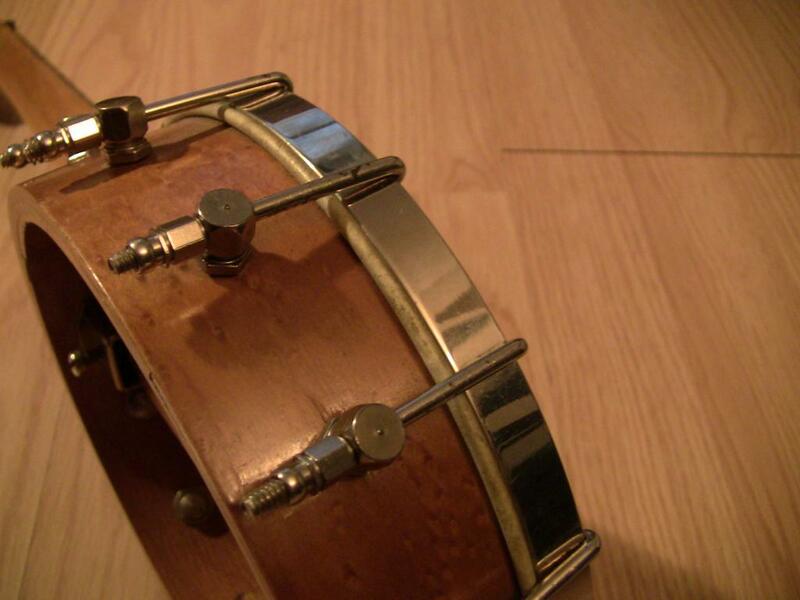 The tuners have been changed, they were originally pegs. Made 30-40s..Hard to date exactly as martin made many subtle changes. It is also hard to give you a firm price, as the market varies a lot, but 750-1000 in good condition would be a close guess. If you have an original case, add a couple hundred more. It is my favorite player of all the martins made. Enjoy it and pay it...it deserves to be played. 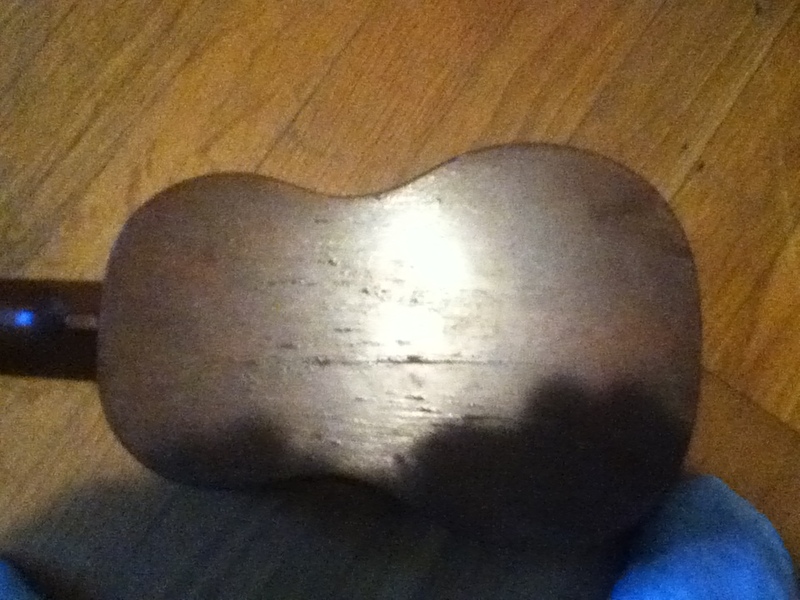 Question: Please tell about this ukulele and what it is worth (what type of ukulele is it?) 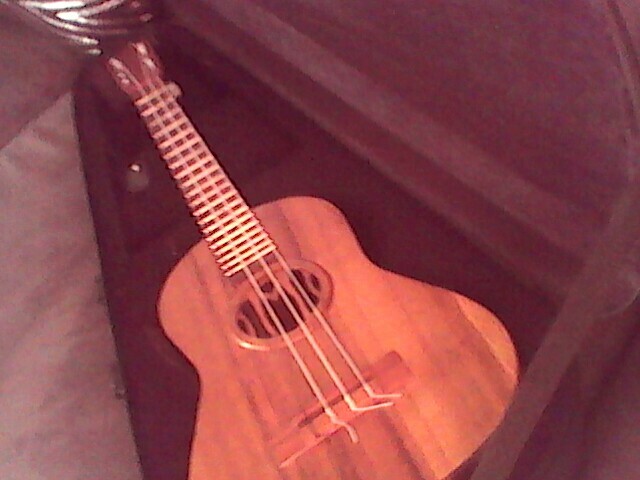 The inside says "Ukulele O Hawaii, made by Leonard Nunes, Los Angeles, CA. Thanks!